Bands, DJ’s and artists have an opportunity to compete in a friendly competition this Summer at The Westcott Theater to determine who is the best local artist in Upstate New York. The event will be judged by local live music promotors, band managers and others within the music industry based on six components: Musicality, Creativity, Showmanship, Stage Presence, Crowd Reaction, and Overall Professionalism. 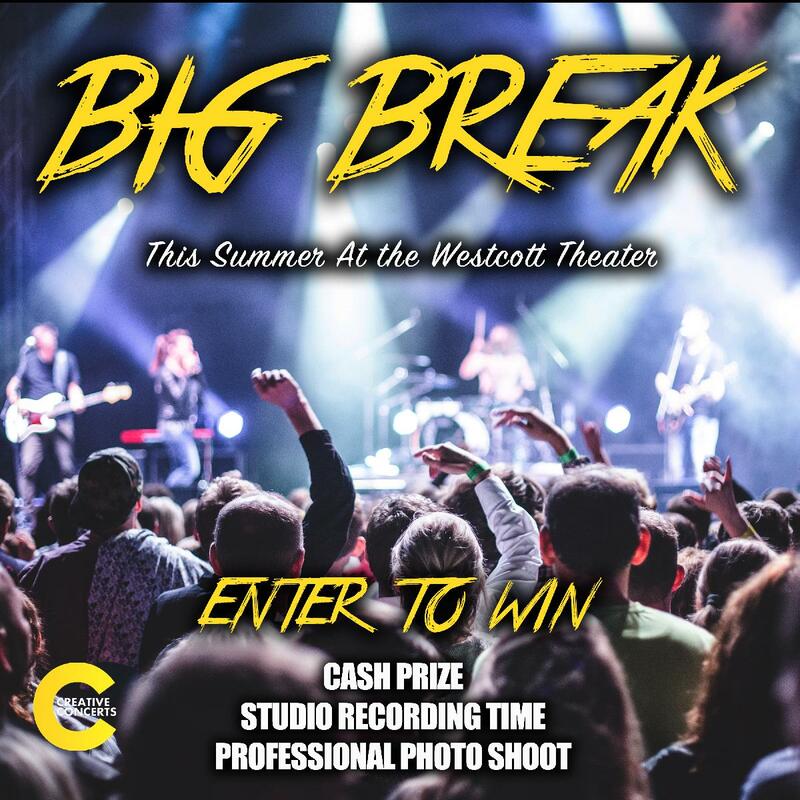 The winners of this year’s Big Break will be awarded with a cash prize, a professional photo shoot, as well as studio recording time. Enter today and start practicing your set, because this could be your Big Break!